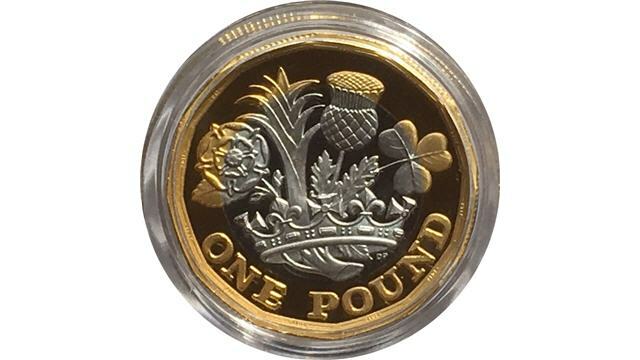 The CuproNickel 12-sided One Pound coin was introduced in 2017 and a proof platinum version intended for collectors followed. Mintage was kept low at only 250. 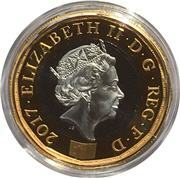 The coin proved quite popular and sold out. 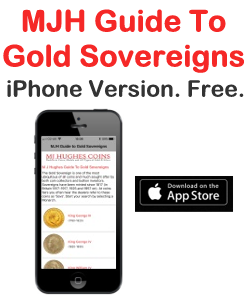 To simulate the bi-metallic coin, the platinum one-pound is made in 999.5 platinum and enhanced with fine gold. The diameter is 23.03mm and the weight is 21.56g. The reverse was designed by David Pearce and shows the emblems of the four nations of the United Knigdom - England, Wales, Scotland and Ireland. 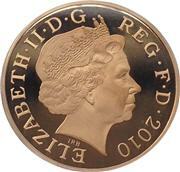 The Obverse is the portrait of Queen Elizabeth II by Jody Clarke. 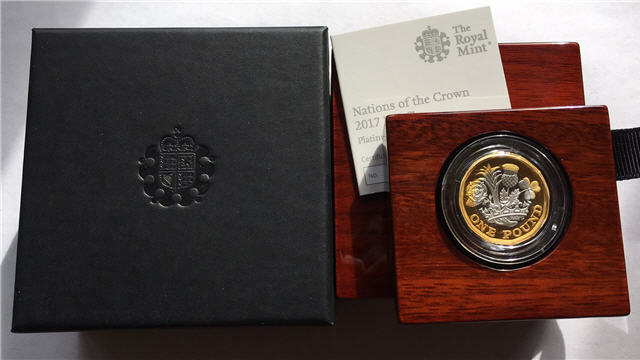 The coin was packaged in a Royal Mint wooden box with a descriptive leaflet, outer box and individually numbered Certificate of Authenticity (COA). 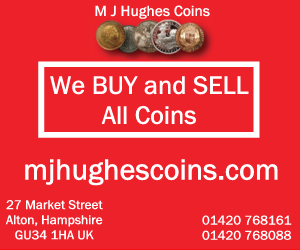 Mintage: 250 (may include coins issued as part of a set). Minted at The Royal Mint. The 2017 Platinum One Pound Coin (a British one pound (£1) coin) is a denomination of the pound sterling. Its obverse bears the Latin engraving "Dei Gratia Regina" meaning, "By the grace of God, Queen" and FD meaning "Defender of the Faith."